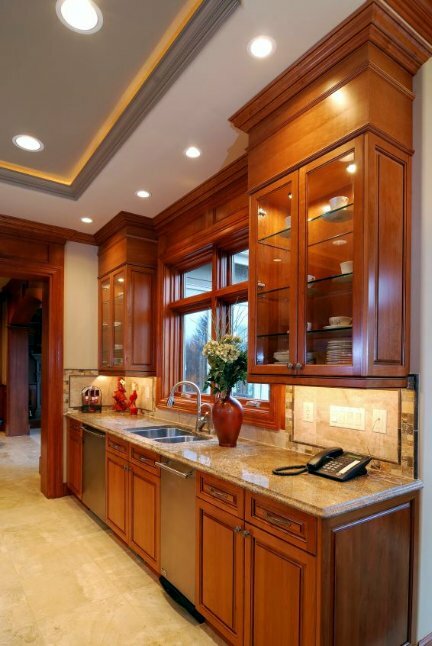 As a family owned business located in Huntington Beach, California, Cabinets Etc. has been serving Orange County with a commitment to excellence and service for over 20 years. From kitchen and bath to home entertainment centers, office, or built in niche cabinets, 25 years of experience and superior craftsmanship go into every project. Unlike the larger manufacturers, our cabinet makers hand select all of our materials for each job to ensure the highest quality. Would you want to put anything less into your home? When you want the best, forget the rest. "The bitterness of low quality lingers long after the sweetness of low price is forgotten"
Over the years, our integrity, personal attention and outstanding service has earned a reputation and referral base that has lead us to success. Let us work with you to design a custom kitchen, entertainment center, or built-in. Call or email today to set up a friendly "no obligation" , in home estimate. Just click the "Contact Us" link above. Servicing all of Orange County and coastal areas of Los Angeles. Cabinets Etc., custom made in the USA.